My seat-o-pants prediction failed. More migrants arrived this morning, right up to noon. There are presently about 66, but it is difficult to count due to their high activity level. All of this is proof that an algorithm is better than a hunch. 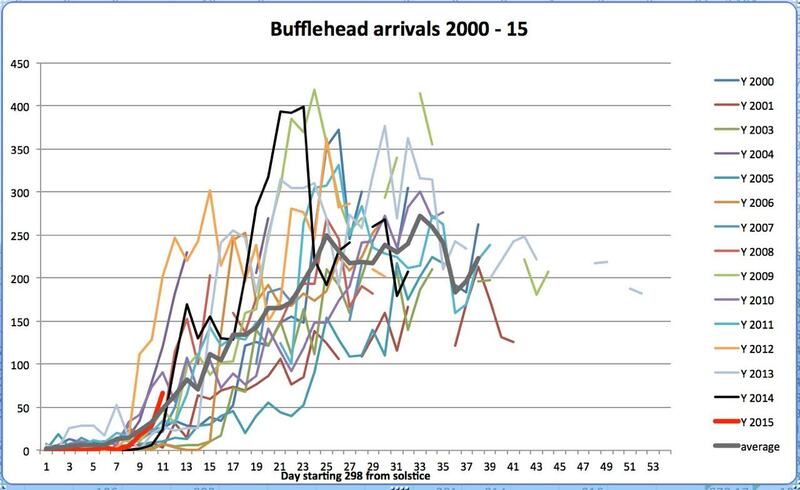 Although the Bufflehead numbers started very low during the first ten days, their increase is now following the average. As Hurricane Patricia, strength five, unwinds on the west coast of Mexico, bringing flooding time in Texas. 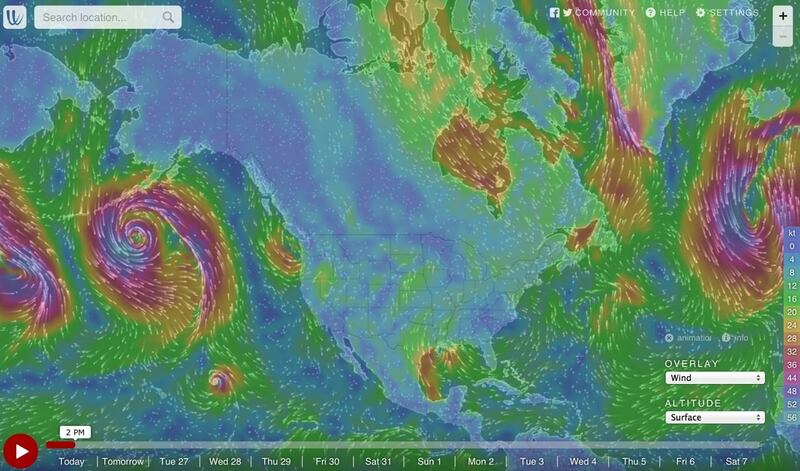 The Buffs snuck in just ahead of the next big system that will bring rain through tomorrow. 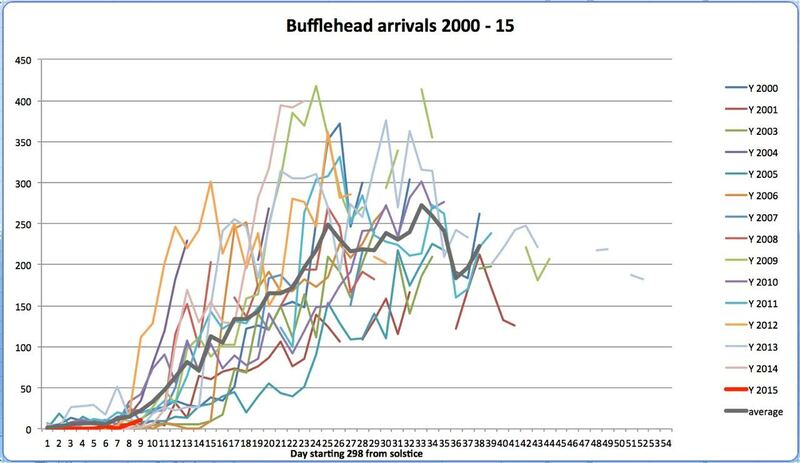 It’s spaghetti chart season and the first minor influx of Buffleheads has registered itself in red on the chart. 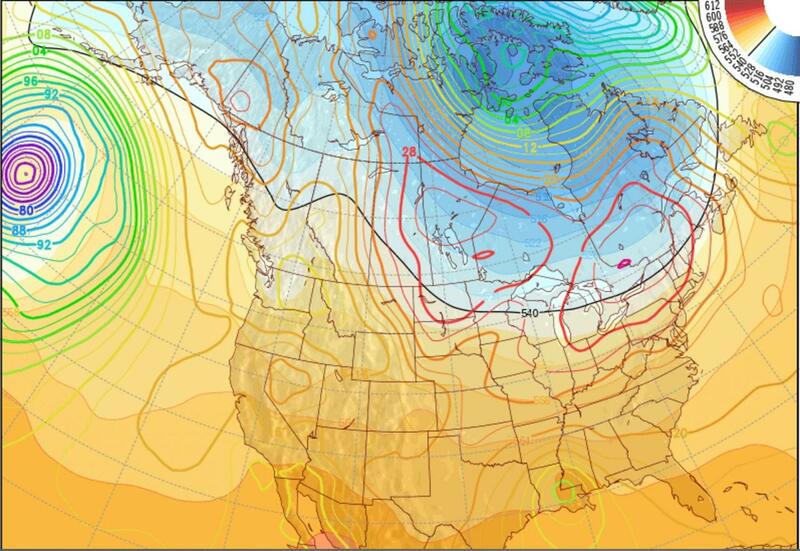 I forecast this by the seat of the pants without weather data input, but downgraded that yesterday, when it appeared that the frost would not be as intense as predicted for the prairies. Evidently I’m thinking more like a Bufflehead as their numbers agree with me. 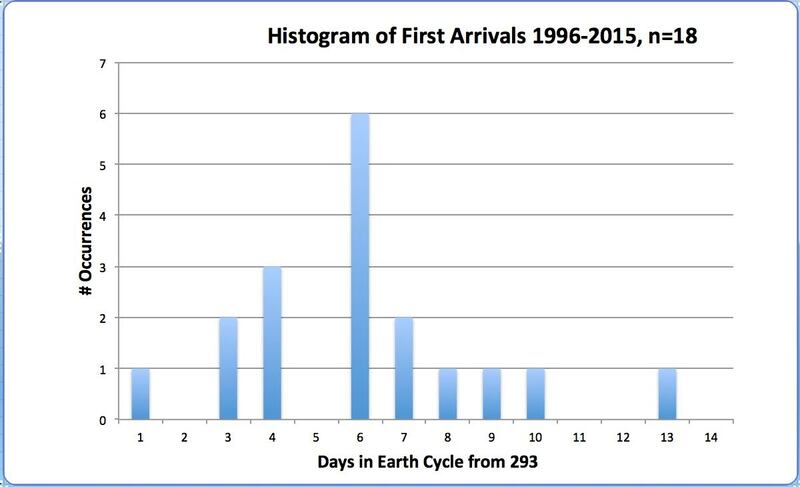 Their numbers in this typical interval of 8 – 10 days have been well below normal, and in fact, on most days they have been absent, or appear only briefly. Today they arrived between 9:16 and 10:38, typical, and as of the latest count there are 15 including 9 drakes in the northwest corner of the bay. It now appears that the first significant influx will occur on Tuesday the 27th, as Jack Frost slides south, and the Aleutian “eye” intensifies. Meanwhile one of the strongest hurricanes ever monitored in the western hemisphere is about to impact the west coast of Mexico centred on Manzanillo. As predicted this is the period when perturbations from the Pacific ENSO have their greatest amplitude. It will be interesting to see how the Buffleheads respond. In spite of the apparent chaos of the spaghetti chart there is much order to it, once filters are applied. Thanks to Kerry for sharing this chart of his diligent recording! Another Bufflehead, Kahooteenik, bang on the mark. The average is now 298.06 +/_ standard deviation of 2.82, sample size 18. Mind the gap at Day 297.